These little treats are nutritious and delicious! Plus, they add a little extra flair to your normal veggie tray, without causing you a lot of extra work! Peel stripes into the cucumber. Scoop out 2/3 of the cucumber seeds in each slice, leave just a thin bottom in each slice. Fill a pastry bag with a star-tip with hummus and squeeze a dollop of hummus into the center of each cuke. 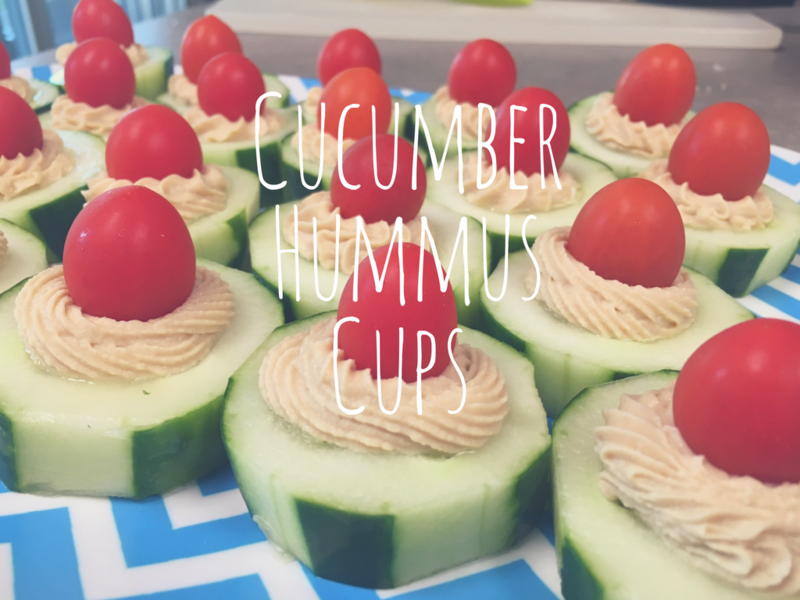 Or if you aren't feeling fancy, just spoon a dollop of hummus into each cuke. You do you here. Top with a grape tomato. Well ain't that something, my friends! You gotta have something healthy at the party, right? The cukes after they received their scooping treatment. All your mom friends will be like "HOW DID YOU FIND TIME TO MAKE SUCH A CULINARY MASTERPIECE?!"